After five years of financial crisis, the European record is in: Northern Europe is sound, thanks to austerity, while southern Europe is hurting because of half- hearted austerity or, worse, fiscal stimulus. The predominant Keynesian thinking has been tested, and it has failed spectacularly. The starkest contrasts are Latvia and Greece, two small countries hit the worst by the crisis. They have pursued different policies, Latvia strict austerity, and Greece late and limited austerity. Latvia saw a sharp gross domestic product decline of 24 percent for two years, which was caused by an almost complete liquidity freeze in 2008. This necessitated the austerity that followed. Yet Latvia’s economy grew by 5.5 percent in 2011, and in 2012 it probably expanded by 5.3 percent, the highest growth in Europe, with a budget deficit of only 1.5 percent of GDP. Meanwhile, Greece will suffer from at least seven meager years, having endured five years of recession already. So far, its GDP has fallen by 18 percent. In 2008 and 2009, the financial crisis actually looked far worse in Latvia than Greece, but then they chose opposite policies. The lessons are clear. The notion that Latvia is somehow a success story is just absurd. Latvia has shed some ten percent of its workforce during the economic turmoil — that would be like more than 20 million people emigrating out of the USA, or 4 million people emigrating from Britain. This is why the unemployment rate has fallen somewhat. 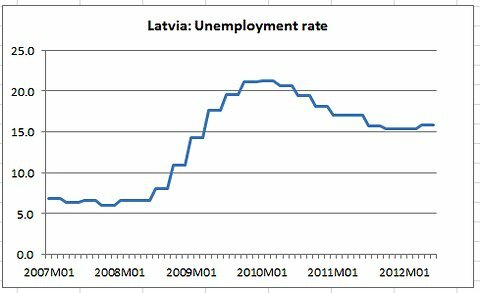 And Latvia’s economy is still deeply depressed, far, far below its pre-crisis peak. Would we be calling Britain and America success stories if millions and millions of people were leaving and output was still far, far, far below its pre-crisis peak? The truth is that the binary choice between stimulus and austerity is false. The real decision is how best to produce productivity, creativity, entrepreneurship and growth. 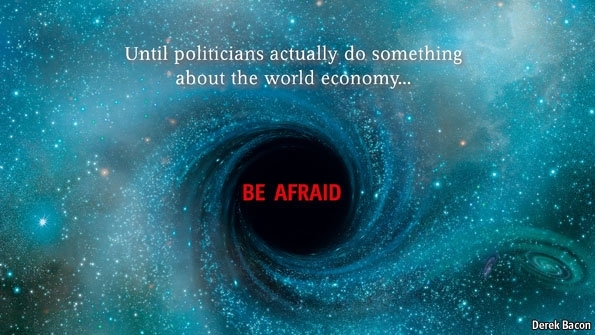 It is possible to do this without any debt-fuelled stimulus, and without any immediate fiscal contraction, by (for example) attracting more foreign investment, using bailed-out banks to provide business finance to the unemployed, and deregulating small businesses and entrepreneurs. The fiscal trick is in learning to cut spending during the boom — something which very few governments have ever mastered, but which is necessary for long-term fiscal sustainability. In the United States during the mid-2000s, tax revenues were high, and growth was moderately strong. This gave the Bush administration a false sense of leeway that allowed them to embark on massive debt-fuelled spending at precisely the wrong time, starting two wars, and creating large-scale domestic spending programs like Medicare Part D and No Child Left Behind. If the Bush administration had cut spending during the boom, not only would it have offset some of the potential for bubbles in housing and stocks, but it would have left the American government in a much stronger financial position come the downturn. Yesterday’s prosperity didn’t last forever (leaving us with collapsed tax revenues, and massive budget deficits) and today’s depression doesn’t have to last forever either, so long as we have the courage to create the environment for small business and entrepreneurs to thrive, and then to cut, cut, cut during the next boom. Trying to balance the budget in the way Anders Aslund seems to endorse is a road to deeper depression, extreme unemployment, and potentially to millions and millions of people leaving to look for work elsewhere.